This is a sponsored post on behalf of Best Westerns Riders Program. All opinions are my own. Up until a few years ago I didn’t get the whole “hair blowing, riding into the wind” mentality of motorcycle enthusiast. I always thought it would be difficult to travel for a more than a day on the back of a bike let alone travel to a destination hundreds of miles away. Then my father-in-law handed down his Harley to my husband, and here we were with this sitting in our garage and no where to go. After a few weeks my husband couldn’t take it anymore so we planned our first motorcycle trip – a long weekend trip down to Tennessee. o By joining Best Western’s Ride Rewards™ loyalty program online, Harley-Davidson and motorcycle enthusiasts automatically receive Gold Elite status, which includes 10 percent bonus points on every Best Western stay and the ability to purchase points for award redemption, along with other signature benefits. o Once registered, members earn 10 points for every U.S. dollar spent on qualified room rates or 250 airline miles per qualified stay at more than 4,000 Best Western hotels worldwide. o Best Western’s travel blog, YouMust Be Trippin features a motorcycle travel writer, Jason Fogelson. Content includes personal stories, ride ideas,packing tips, bike suggestions and more. They even partnered with Harley Davidson to offer the Harley-Davidson’s Ride Planner,which riders use to help map and plan rides, posts Best Western hotels along their scheduled route, making it easy to book hotels – many of which are deemed “rider” friendly. 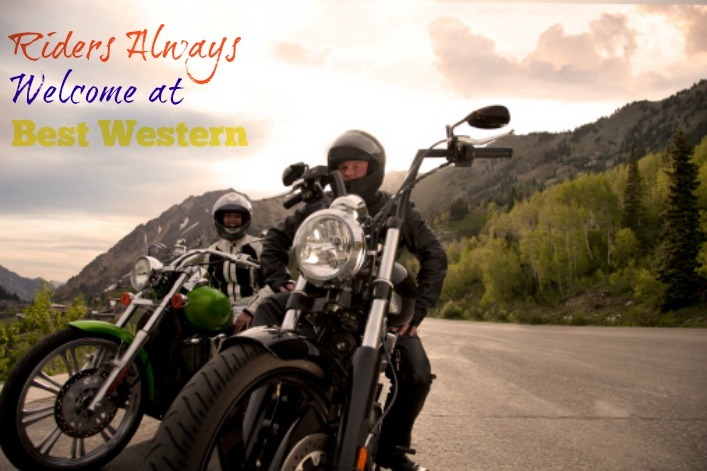 In honor of the Best Western Riders Program, Best Western is hosting a Harley-Davidson trip for several motorcycle journalists, Aug.27-29 in beautiful Montana. They will be traveling across the beautiful countryside and stopping to check out the rider-friendly Best Western’s along the way. I’m checking the weather, watching a storm front pass through the Big Sky Country. And rain or shine, I’m headed to Montana next week. Let’s hope there’s more shine than rain! Every year, Best Western gathers a small group of motorcycle and travel journalists together for a three-day ride on Harley-Davidson® bikes. It gives the writers a chance to get familiar with rider-friendly hotels, the Best Western Ride Rewards® program, and Best Western’s three categories of hotels (BEST WESTERN®, BEST WESTERN PLUS® and BEST WESTERN PREMIER®), while riding the latest and greatest from Harley-Davidson. It’s always a fun, relaxed trip through great scenery, and we all come away from the experience with great stories, new connections and a fantastic appreciation for the joy of motorcycle travel. This year, we’re starting our tour in Helena, Mont. at the BEST WESTERN PREMIER Helena Great Northern Hotel, a recently upgraded hotel designed around the theme of the Great Northern Railroad. Helena is the capital of Montana, and there’s plenty to see and do. It’s a great place to start and finish our trip, with a good airport and a central location. What a neat program. The trip sounds like its going through some very scenic locations too! What a great program! I love that it helps riders find locations to stop and gives them perks! The trip is going through some really pretty areas of the country! Sounds like a lot of fun, plus I love that Best Western is involved and making it easy for the riders to find somewhere to stop along the way. What a great program! In college, my brother toured the US on his motorcycle and it was a life-changing experience for him. I don’t think he stayed anywhere as nice as the Best Western during his trip. How cool, I had no idea Best Western was biker friendly! Next time I go on a long bike trip with the boys I’ll have to recommend staying at a Best Western and we’ll definitely be signing up for the program! That is great news for motorcyclists. I don’t ride but I have many friends who do. I was not aware of this program. My hubby is a rider and runs a club. I am going to let him know about this as they do a few trips every year. Sounds like they need to be booking Best Westerns! I love when I see the comaradarie riders have for each other! I’ve never actually been on a motorcycle. I jad bo idea this program existed. Love it! I actually have a bunch of friends wi th bikes that would love this program. Thanks for sharing. My neighbor would love that trip!! I have always wanted to own a motorcycle. Now that our kids are tween/teenagers it’s an even more prominent WANT! I am thrilled to know that riders are welcome at Best Western. It’s great to see more acceptance and knowledge about the culture. Both of my brothers are motorcycle enthusiasts, so I know they’d enjoy a heads up on this program! 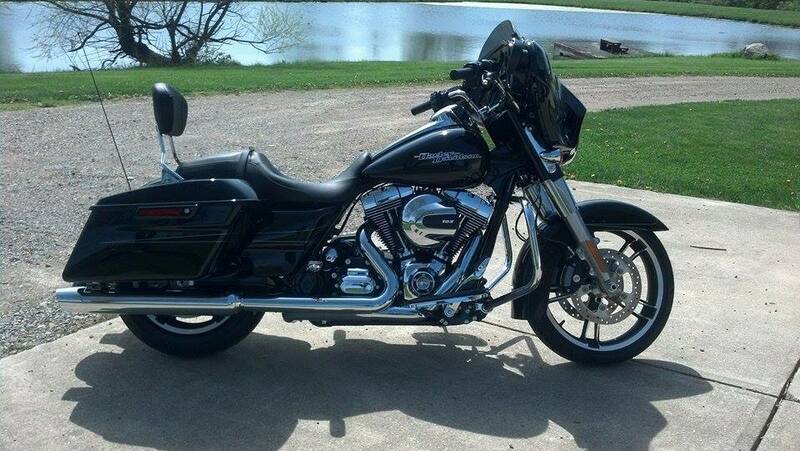 I want a Harley soooo stinkin’ bad but the hubs wants some stupid fishing boat. Ugh. And Best Western is awesome usually one of the top 3 hotels we stay at when we’re traveling with the family. I’ve never ridden a motorcycle, so I never would have even thought about whether a hotel was bike friendly! My husband is planning on getting one soon so it’s good to know we can always stay at a Best Western. I have a friend with a Harley that travels a lot. I bet he’d find this useful! I have actually never stayed at a Best Western before. I am sure I will at some point, though. I think there’s a Best Western up in Helen GA – TONS of bikers convene up there! I had no idea that Best Western catered so much to bikers! My uncle has a Harley. He’s in love with it, and I don’t ever see him giving it up. Thats pretty cool that Best Western has a special program for bikers. I love choppers but some of them aren’t so great for long road trips. sounds like fun! I always wanted to travel on the back of a bike! I think it would be so much fun to have a motorcycle! Maybe when I’m a little older. The Best Western program sounds like a great one! I think it’s awesome that Best Western offers these perks for bikers. I don’t think I will ever be a biker, but it certainly seems like a fun way to travel! I have always wanted to head out for a weekend roadtrip on the back of a bike, or maybe even be the driver. Sounds like a lot of fun, and a great adventure. coming from a family full of bikers, I love this program. This is a great program. It’s nice to be able to easily find a place to stop for the night. Especially after sitting on a bike for hours and hours. I love hearing about motorcycle riders actually getting some love from any company. Motorcycle riders always seem to be looked over when it comes to things like this. This is really great! Riders never get any love. Thanks, Best Western! Best Western deserves applause for welcoming motorcycle rider. It’s good to know a Harley can gain recognition, as well. I love that there are rewards now. Great way to enjoy a bike ride and then some! Wow this is really cool, actually it’s an amazing program and I’m happy to hear of this! That would be such a fun trip. I have stayed at Best Western and always find the staff friendly and the rooms clean. That sounds like a fun tour! Thanks for sharing. I think it’s great that they are so accommodating! No one should ever turn away bikers! I love that they’re such a friendly chain. My husband would love to go cross country with his bike. Hey, that’s a pretty great hand me down. You were handed a lifetime interest. 🙂 My uncle and his best friend/next door neighbor ride together sometimes for recreation and they love it. It sounds like a great trip! I’ve never stayed at Best Western before. I did not know that hotels/motels discriminated based on what you rode in on. I will have to pass this on to a few of my biking buddies! This sounds like a fun trip! I always stay at the Best Western.